I may earn a small commission on purchases made through any product links on this page. Thanks for your support! 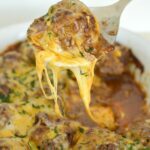 Cheesy Mexican Meatballs are a little spicy, a lot cheesy, and one of those meals that the whole family goes crazy for! It’s a make-ahead meal which makes my life easier too, especially on super busy days! Hi everyone! My name is Amy from Little Dairy on the Prairie. Let me guess, right about now you are wondering if I actually live on a real dairy farm. (People ask me that all the time.) Yes! My family owns a dairy farm in cold Idaho! Raise your hand if you could eat Mexican food almost every day and still love it! I have two hands raised high in the air! Of course enchiladas rank right up there on the list of favorite Mexican food. Somedays though I just don’t have time or the ingredients to make enchiladas, which is where these meatballs come in. Cheesy Mexican Meatballs are so quick to make and only require a few ingredients you probably already have on hand. Let me show you how it works! First, add ground beef, spices, and oats to a bowl. It’s totally okay to mix the meat together with your hands. 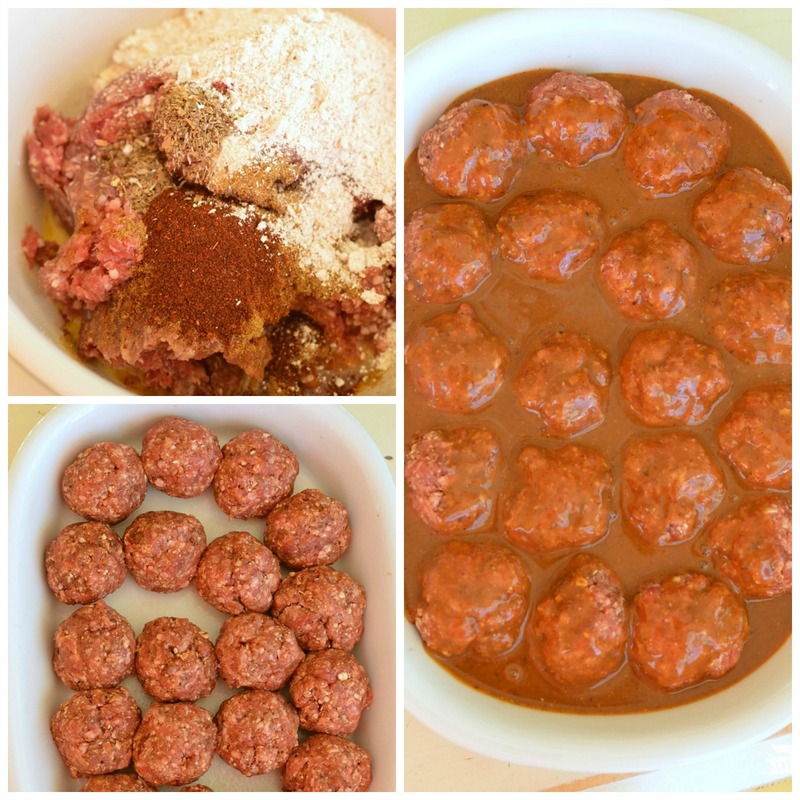 Form meat into meatballs. I scoop the meat out with a cookie scoop, just like I would if I were making cookies. Sometimes I stop right there and leave them in a rustic looking scoop. If I have an extra minute and am feeling really ambitious, I roll the meatballs with my hands to make them look all fancy! Next, pour a can of enchilada sauce over the meatballs. Now, bake your Mexican meatballs. Remove from the oven and cover with cheese. Don’t skimp here…cheese is the BEST! Return to the oven and continue baking until the cheese is melted and gooey! Serve warm! Just check out all that cheese! 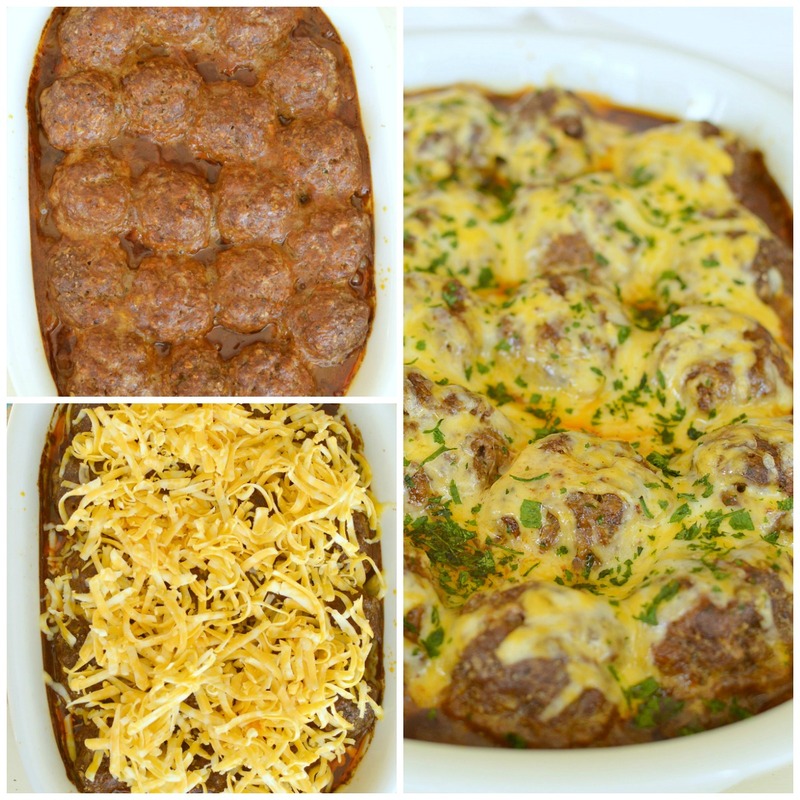 There are several ways to serve Cheesy Enchilada Meatballs. We usually serve them over, or next to, a bed of Cheesy Spanish Rice. Sometimes we serve them in a tortilla kind of like a taco! So yummy! Add as many Mexican fixings as you can think of: Guacamole, lettuce, diced tomatoes, sliced olives, salsa, and sour cream! Heck, you could even put Cheesy Spanish Rice right in the tortilla shell with all the other fixings! So yummy! 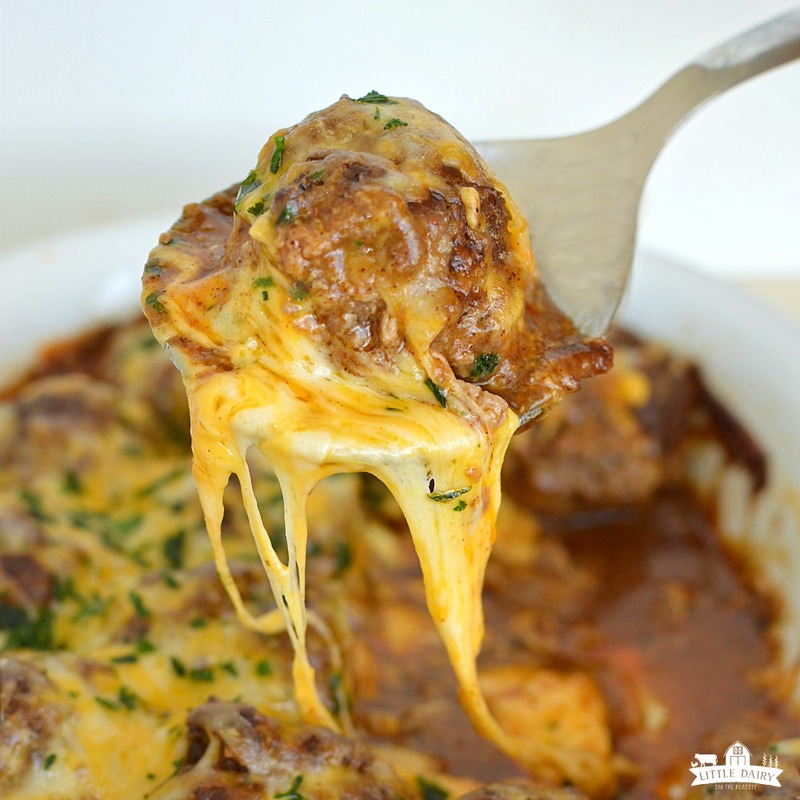 Cheesy Mexican Meatballs is one of those recipes that is a regular on our meal rotation! I’m pretty sure after you try them thy will make an appearance on your menu fairly often too! These easy enchilada meatballs are an easy make-ahead recipe your family will love! Preheat oven to 350 degrees. Grease a 9 x 13" inch baking dish. Mix 1/4 cup enchilada sauce, ground beef, oats, eggs, salt, onion powder, garlic powder, pepper, oregano, cumin, chili powder, and hot sauce. I use my hands to combine them. Pour remaining enchilada sauce over meatballs. Cover and bake in preheated oven for 30 minutes. Uncover and sprinkle cheese over meatballs. Bake for 10 more minutes or until cheese is melted. Serve right out of the oven! 0 Response to "Cheesy Mexican Meatballs"